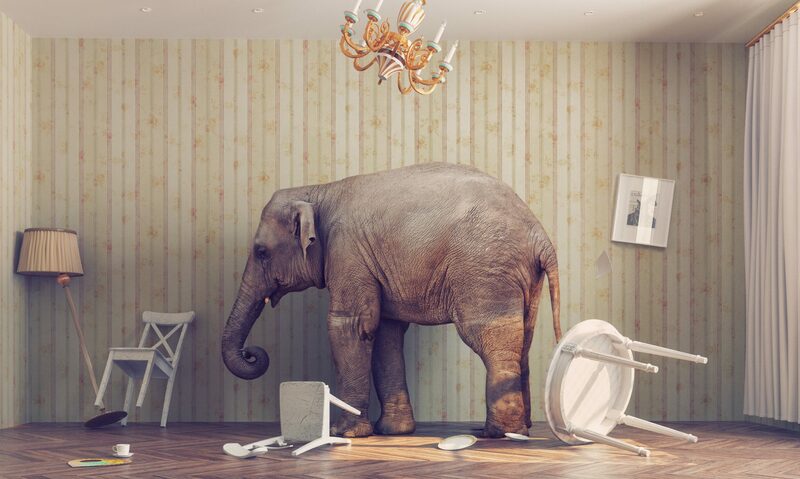 Helping your teams be better performing by uncovering the "elephants"
People might not want to tell you, and you certainly don’t want to hear it. But maybe – just maybe – the biggest problem with your organisation is you. Sometimes as a leader you’re working hard to deliver all the objectives and results your company needs but you feel like your team and people are not as happy, engaged or productive as they could be. Maybe there’s a sense of apathy, a grumbling in the air, a reluctance to put changes into place. People blocking ideas and innovation, a whiff of stagnation or something more serious that’s hurting your profits. It’s hard to put your finger on what’s happening. Somehow, you’re not getting to the root of the problem. A big question to ask yourself is: Do I really not know what’s going on? If you were pressed and had to come up with an idea – what would it be? It’s difficult to be brutally honest with ourselves but you need to be able to answer this question. Even if you aren’t the problem, it’s healthy to explore the possibility and explore your own areas for improvement. But how to get a good picture of how you’re perceived by your teams? I’m not suggesting you march your subordinates into the room and demand of them point-blank, “Do you think I’m a good boss?” That would be a little too abrupt. But you can ask people anonymously, in the spirit of wanting feedback to help you improve. – Do you feel secure and safe to share concerns, thoughts and ideas – and if not, why not? – Are you clear about what we are aiming for? – Do you trust me? – Do you feel I care about you? Think about what the answers might be. And what that might say about your leadership.